And they are unforgettable. Over the past 20 years, he’s released ten albums, together with several singles and EPs, and has established himself as one of Australia’s finest guitarists and composers, performing at festivals across Australia, Europe, Asia, and writing evocative music for television, film and documentaries. He’s also won numerous awards for his music, including three Golden Guitars, and, as a Maton guitar endorsee (with his own signature model guitar), his guitar workshops are in high demand all over Australia and internationally. In recent years Michael’s reputation has grown rapidly. He receives regular invitations to perform at festivals and concerts throughout the world. Michael’s credentials include acclaimed Sydney band Hat Trick, which he joined in 1985. Hat Trick specialised in eclectic versions of classical and folk pieces, and this music has played a major role in the development of Michael’s own musical style. The years 1991-95 saw Michael working with award-winning singer/songwriter Graeme Connors, touring Australia several times as lead guitarist with Connors’ Prodigal Sons band. Michael also found time to produce his debut solo album Tantalise, and to build up a strong and rapidly growing following for his work with a succession of solo shows. In 1999, Michael was recognised by the CMAA with his first Instrumental of the Year Golden Guitar, for the catchy “Mr Wonglepong”. He went on to win the award the following year with “Walkin’ the Walk”, and took it out again in 2003 with “Mulga Dan”, joining Keith Urban with the highest-ever tally of Instrumental Golden Guitars. Michael’s distinctive, eclectic yet accessible style make him a popular performer at everything from guitar festivals to jazz and blues festivals, folk festivals and country music events. 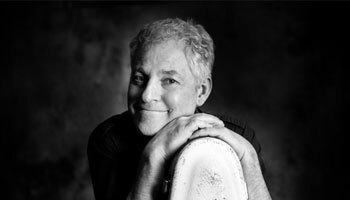 He’s also toured with artists as diverse as Albert Lee, Christine Anu and Anne Murray, as well as appearing with the world’s greatest guitarists – including Leo Kottke, Tommy Emmanuel and Martin Taylor – at festivals in Australia, New Zealand and the United States. On Australia Day 1997, Michael opened the Gift to a Nation concert, performing “Classical Gas” with Tommy Tycho’s orchestra. This event was filmed before 150,000 people and telecast live across the nation on the Seven Network. Michael regularly presents guitar workshops to aspiring guitarists captivated by both his expertise on the guitar and his original music. Michael believes strongly that his music is a gift which should be shared. Over the years, he has taken the chance to use his music to assist others. In 1995, he penned “Bush Bash” to raise funds for the Variety Club of Australia. The song was used as part of the Variety Club’s annual car rally. In 2002, following the death of legendary country guitarist Barry Thornton, Michael recorded Remembering Barry Thornton, a fundraising EP to assist Barry’s family. He also penned a single in memory of Barry, “Mulga Dan”. The song went on to win Michael his third Instrumental of the Year Golden Guitar, as well as taking out the 2003 Victorian Country Music Award in the Instrumental category. Recognition of Michael’s extraordinary talents on the guitar has led to major ongoing sponsorship deals with Maton Guitars and D’Addario Strings, as well as AER amplification.